Kate and Oli: Moving Progress! I have had such a blast choosing paint colors, tile, flooring and furniture. I really am lucky to be able to do this much customization without owning my place. Here are some before and now pics. And yesterday, I started moving stuff in! Today, I will move more boxes, tomorrow I will move the bigger items with the help of Mike and Jon and tomorrow night my couch is delivered! Friday means the arrival of my bedroom furniture and fridge and I will be completely moved out by Sunday. Whew, I'm tired just thinking about all the unpacking. But the unpacking will be so fun. And so will the decorating! Once I've got the rooms set up, I will take pictures and note my paint colors and the awesome etsy artists you will see on all my walls. 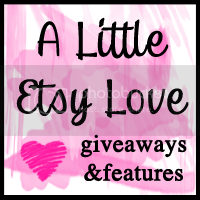 Don't forget to enter the awesome current giveaways! I am new to blogs, so I am finding this a little confusing, but I am going to give it a try. I posted a comment for the giveaway on Mrs. Dazo's Etsy, and she said to post on your blog. So I wanted to say that I love her abacus necklaces, especially the blue one!!! I love your blog too!